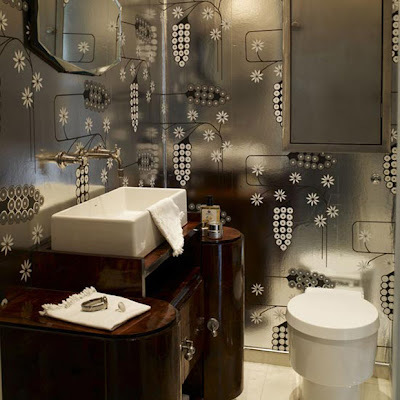 This small bathroom has been brightened up instantly with shimmering metallic wallpaper. This modern bathroom is given a glamorous twist with stunning wallpaper that shimmers in the light. Create a glamorous feature wall with iridescent tiles. Soft grey walls and deep brown floor tiles work well with a contemporary mirror and wall-mounted radiator to create a clean, modern look. 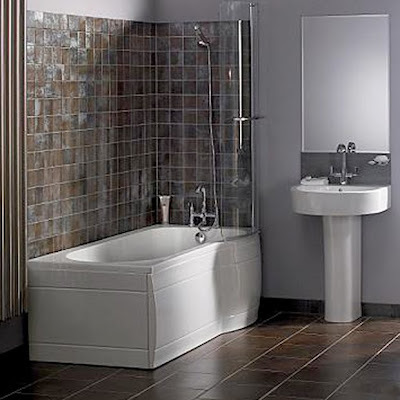 A curved shower-bath is a great alternative to a shower enclosure in a small bathroom. 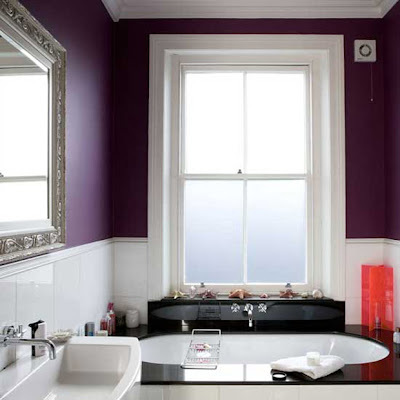 Rich purple paintwork teamed with fresh white tiles creates a glamorous feel in this bathroom sanctuary. 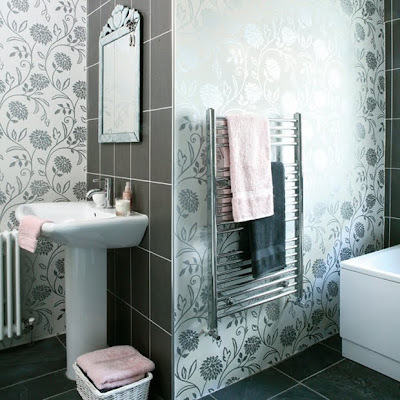 Create an intimate and glamorous bathroom by combining bold, organic patterned wallpaper with free-standing bathroom furniture.